Cyclists following the 59-kilometre-long canal between Amsterdam and the Rhine river can stop for a midway break near Houten, where Hanny van Doorn runs a small cafe offering coffee and icecream. 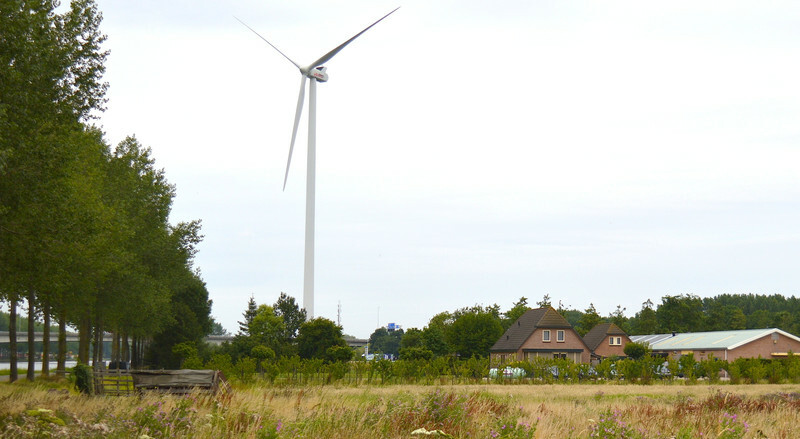 The cafe is called Rustpunt, or "resting point", but the name has been put in question since two wind turbines were built a half kilometre from Van Doorn's house. “This used to be the quietest point in the area. Now, it's like there is constantly an airplane starting, but it doesn't want to take off,” Van Doorn told this website. Indeed the wind turbines do sound remarkably like an airplane. And it is this noise issue that is often at the centre of disputes between pro- and anti- wind energy camps. The European Wind Energy Association (EWEA) says it is a “myth” that wind power is bad for health. Its website states there is “no evidence that the audible or sub-audible sounds … emitted by wind turbines have any direct adverse physiological effects”. “No evidence yet,” noted Van Doorn. “In summer in particular, when I sleep with the windows open, it stresses me and makes me feel aggressive”, she added. Her perceived stress can be indirectly traced back to agreements made in Brussels. 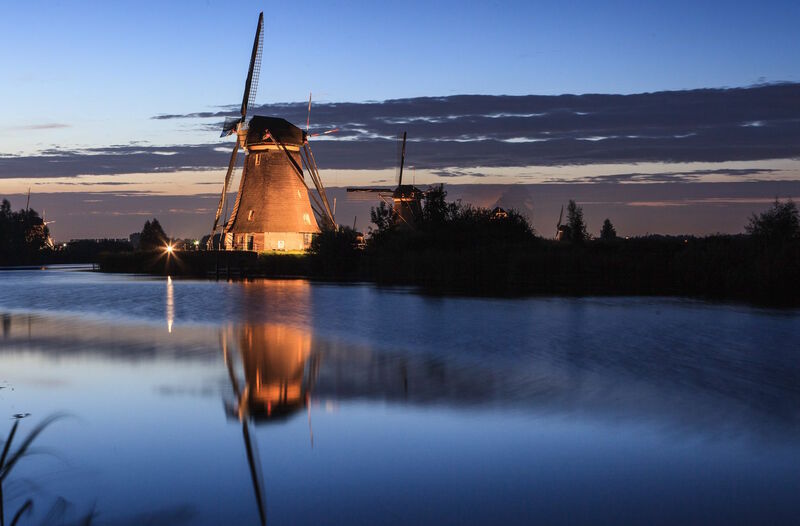 The Netherlands has agreed to have 14 percent of its energy come from renewable sources by 2020, as part of EU-wide climate goals. In 2013, the country's share of renewables stood at only 4.5 percent, and it had not increased since 2012. That same year, the national government agreed with the country's twelve provincial governments that they should by 2020 have installed enough wind turbines to produce 6,000 megawatt (MW). The most recent figures, from December 2014, show the Netherlands currently has 2,525 MW of onshore wind power capacity. However several of the plans needed to reach the 6,000 megawatt goal are being met with fierce local resistance and have sparked a general debate about the extent to which an inconvenienced minority should be able to sway broader government policy. 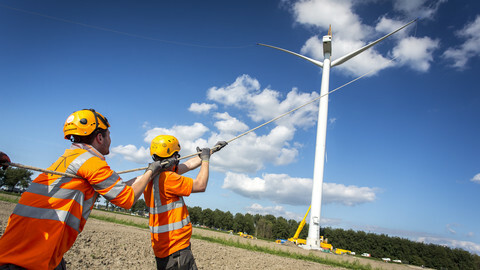 Van Doorn and others inhabitants have tried hard to stop the construction of the three 2 MW wind turbines on the canal shore of Houten, a municipality of almost 50,000 inhabitants, not far from the city of Utrecht. They even started a political party, which between 2006 and 2010 was the largest party in the municipal council. They failed in their bid to stop the wind turbines, but managed to get some restrictions put in place. Whenever the noise reaches a certain level, or if the rotor blades produce a certain shade-light repetition, the turbines are shut down. When this website visited the area on Monday (20 July), the turbines were switched off for hours. However, five wind turbines on the other side of the canal were turning. According to the energy company that owns the wind turbines, they have produced 30 percent less electricity last year than expected. However, the nationally agreed targets the provinces have to achieve by 2020 are about the capacity to reach the targets, not about actual production. 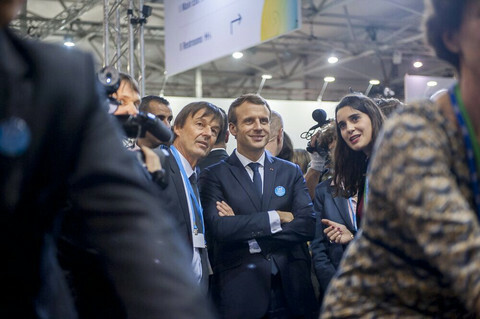 And because the EU target is only for renewable energy in general, there is some leeway for the national government to achieve the goal by increasing other types of renewable energy, like solar power, biomass, or offshore wind farms. 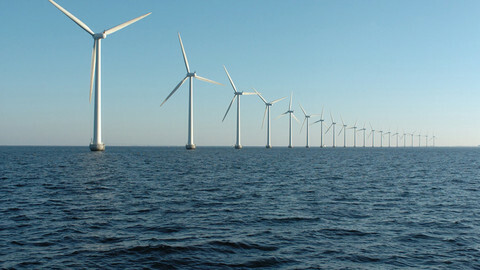 The Dutch government is looking at expanding offshore wind farms in the North Sea. Although some complain that they may ruin the horizon for beach-goers, they are likely to meet less resistance than wind farms in residential areas. Offshore wind turbines, on average, produce more electricity than their onshore counterpart. They are, however, also more expensive to build. According to EWEA, around 14 percent of the EU's electricity came from wind farms in 2014, up from 2.4 percent in 2000. But wind power has been around for centuries. 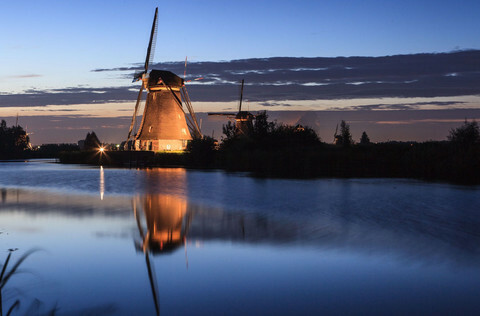 The Netherlands is famous for its historic, wooden windmills, many of them built in the Middle Ages. They were an important provider of power until steam engines crowded out the mills by the end of the 19th century. The wooden mills, with their iconic shape, are now part of the country’s protected heritage. 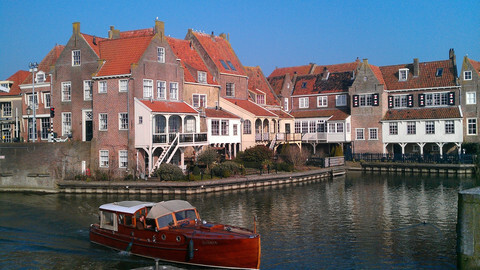 Several Houten inhabitants told EUobserver they are thinking about moving because they consider the wind turbines ugly. But this sentiment has been around as long as there have been windmills. Historians note there were plenty of people in the seventeenth century who thought the now-classic windmills blotted an otherwise beautiful landscape. Apart from the fear of health effects, much of the animosity towards wind turbines is a matter of taste. “I don't mind them,” said Cornelis Petzol from neighbouring Nieuwegein, who was fishing in a lake right next to one of the three 105-metre-high wind turbines (150 metres including the rotor blades). 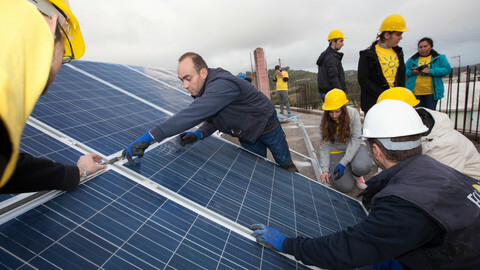 “Everyone is always talking about green energy, as long as it isn't in your backyard. And how big is the group that complains? They are not a cross section of the population”, he said, adding that he thinks the silent majority would agree with him. But this majority-vs-minority argument is what Dutch association of people living near wind turbines is challenging at international courts. “It is not as if a democratically elected majority can just decide to impose a nuisance on a minority”, said Rob Rietveld, president of the association. A previous case at the European Court of Human Rights, filed in 2012, was declared inadmissible earlier this year, Rietveld told this website, but he expects his association to try again by October. The organisation also filed a complaint earlier this month with a Geneva-based UN body that guards the Aarhus convention, a treaty which gives citizens the right to participate and be informed in environmental matters. Meanwhile, Hanny van Doorn is torn between staying or leaving. If she tries to sell the house, she expects to receive much less than what she paid for it. A Dutch court has ruled that it is a civil wrong if the government does not up its efforts to reduce greenhouse gas emissions. A similar case is underway in Belgium. Home-owners that want to sell their house are obliged to obtain an energy label, under EU rules. 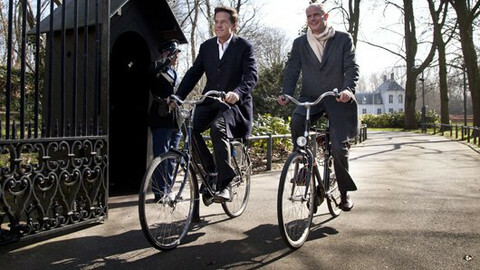 But the Dutch government is under fire for not implementing them properly. Growth of renewable electricity in Europe in the next five years could be almost 30 percent higher if market and policy conditions improve, the International Energy Agency said.